The Potomac Valley Chapter ARS is one of three chapters of the American Rhododendron Society located in District IX, or the Middle Atlantic region of the United States. Our Potomac Valley Chapter meetings are usually held at the Potomac Community Center in Potomac, MD, on Sunday afternoons, although we do hold occasional meetings on Saturdays. We also meet at other locations in nearby Maryland, Virginia, or Washington, DC, from time to time. Guests are always welcome at our regular meetings. We had a very successful joint convention between the American Rhododendron Society and the German Rhododendron Society in Bremen, Germany, in May of 2018. There were exciting garden tours and speakers from around the workd. Pre and post convention tours were available to the Netherlands, Denmark, Sweden, and Finland, too. Look for aricles in current and future newsletters about the convention. As a member of the Potomac Valley Chapter ARS you will automatically become a full member of the American Rhododendron Society. This entitles you to a year's subsription to its outstanding quarterly Journal, filled with information and many color pictures. You will also be invited to attend national conventions or regional conferences, and participate in the National Seed Exchange. Membership in our chapter not only provides a source for rare and unusual plants not generally available, but also access to expert advice from some very knowledgeable horticulturists. 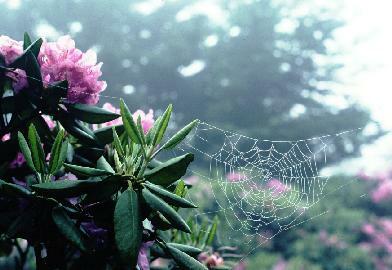 Most of us raise many different kinds of plants in addition to rhododendrons and azaleas. We also welcome Associate Members from other ARS chapters. Come join us! Joint Meeting with Northern Virginia Chapter of the Azalea Society - March 31, 2019: Charlie Andrews, "Native Azalea Hybrids"